Stamford professor of ecology and evolutionary biology, Charles Yarish, believes that seaweed could be the next revolutionary trend in water purification technology. His method, termed ‘extractive aquaculture’ or ‘bioextraction’, uses seaweed as its main component, and may effectively clean up pollution in waterways from both natural waste and human sources. How does it work? The same way that shellfish do: by extracting organic and inorganic nutrients from from seawater. Although nutrients are generally regarded as beneficial to organisms, too many of them may contribute to the growth of harmful algal blooms, which deplete oxygen in water. Although bioextraction itself is not new (it has been used before by ancient cultures in Egypt and China) Yarish’s method of bringing together plants and animals on different levels of the food chain into one place, in order to achieve purification in specific areas, is quite innovative, and will allow aquaculture to function more like a natural ecosystem. All this time, we thought banana peels were useless… well except in the game of Mario Kart. Not anymore, thanks to the discovery of Milena Boniolo, a chemist from the Federal University of Sao Carlos, near Sao Paulo, Brazil. When dried and ground into a powder, banana peels have the ability to decontaminate polluted water by at least 60 percent. The process may be repeated until the water is purified almost completely. Banana peels are rich in negatively-charged molecules, which attract the heavy, positively-charged metals present in contaminated water. Considering that restaurants alone may discard tons of banana peels on a daily basis, this natural method could introduce a much-less expensive alternative to current water filtration technologies. Put these two methods together, and what do you end up with? 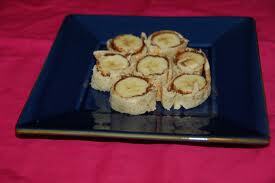 Banana Sushi – an edible solution to dirty water. Over the course of one year alone, we have discovered quite a few natural ways to purify water. I’m sure there will be more to come, so stay tuned, and bookmark this tag in your browser for updates.